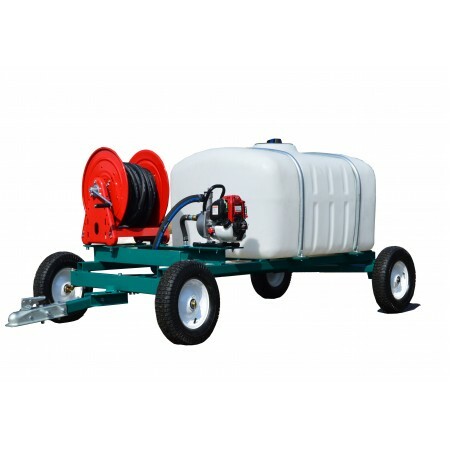 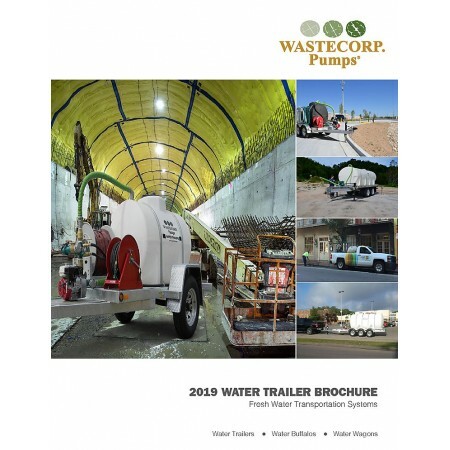 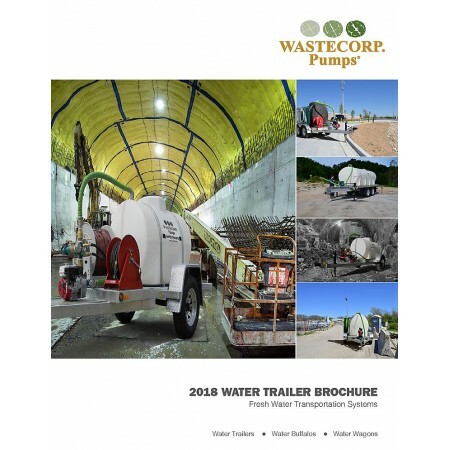 50-200 gallon water trailer. 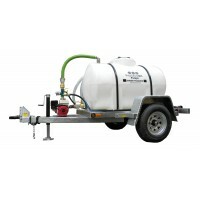 Optional accessories shown. 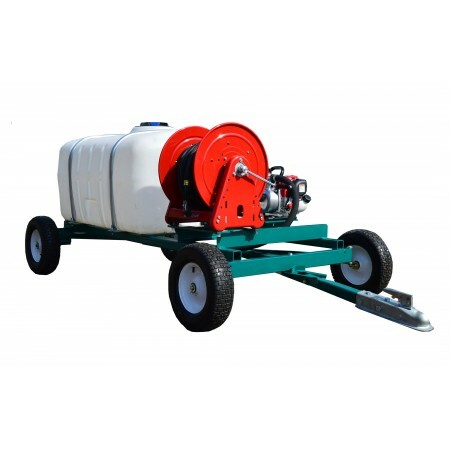 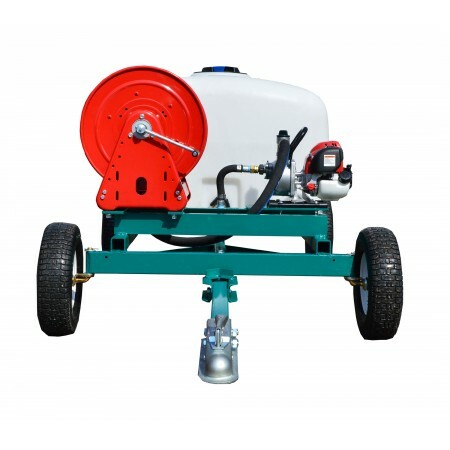 Automated and manual hose reels available.